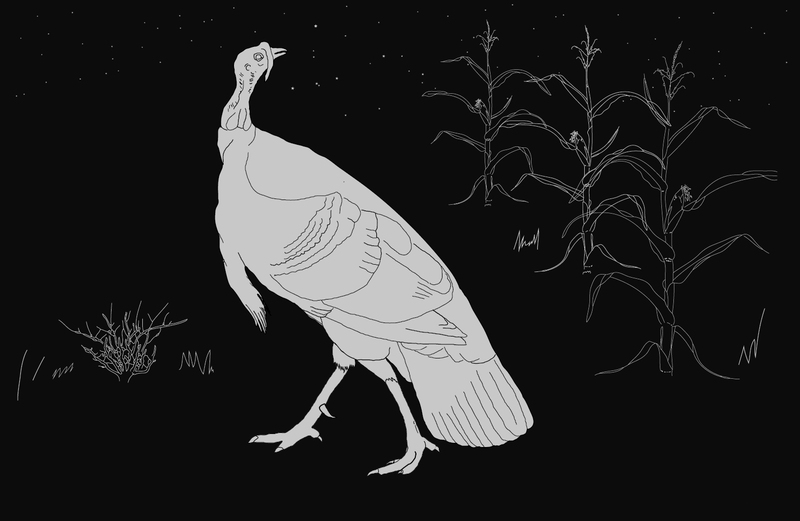 The animal used to celebrate the false retelling of colonial invasion in the United States -or Thanksgiving- turkeys were one of the first birds to be taken to Europe and keep in their name a colonial time stamp of the routes of commerce that saw him appear in the old world. Known as dinde (Of India/French), bird of India (Indjushka/ Russian), India (indyk/Polish), (Hindi/Turkey) and Indian Rooster (Hindi diiq/Arabic), it is thought to have been taken to Turkey where it was selectively crossed to increase its size. The Nahuatl that first domesticated instead called it "big monster" or Huexolotl, a name that survives in Mexico as Guajolote.